Daily sailings commence in July, weather and numbers permitting. See local notices at West Pier Slipway for details. phone Neil on 01723379126 or 07834410309. 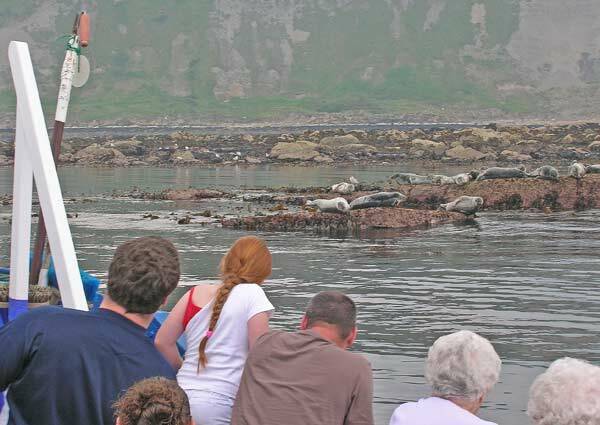 Sail south along the picturesque coastline to see Common and Grey seals at Casty Rocks. See if you can spot Guillemots, Gannets, Cormorants and Razorbills along the way. If conditions are right, you may even see Herons and Puffins and further offshore, a visiting Porpoise. Information sheets about seals and seabirds are available on board. Trips last 1 h 45m - inc photo stop. Enjoy an intimate view of the Jurassic Coast as you sail south to Cayton Bay. 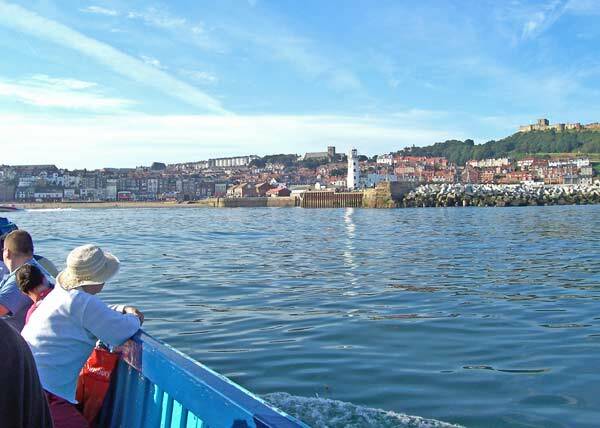 Or cruise around Castle Headland into Scarborough's quieter North Bay.